There's no denying the rustic, romantic appeal of heating with a wood stove. Before you commit, though, do your research and ask whether you're up to the tasks entailed. Recently, you were visiting friends, and as the night grew colder outside, you were snug indoors, mesmerized by the warmth and glow of their wood stove. “Let’s get one!” you exclaimed to your family. As charmed as you were by the stove, your partner and children were even more so. A wood stove; what a good idea! But is it really such a good idea? As with so many other things relating to the home, the answer depends. Before going any further, be sure to do your homework. In areas where wood is dependably available at low cost, wood-stove heating can save money over a gas or oil system. That’s never more true than for those who harvest their own firewood. Of course, it’s a lot of work to fell trees, saw them into logs, and split those logs into stove-length pieces. There are techniques and best practices here that might take the neophyte several seasons to master. You need to be realistic about your abilities and tolerance for heavy work. Even apart from the amount of labor involved, heating the home with a wood stove takes real commitment. Every morning, you need to start a new fire. In the absence of a backup heating system, there must always be someone at home to tend the fire, lest the plumbing pipes freeze. There are good reasons for our having moved beyond wood heat long ago. For many people who enjoy a modern lifestyle, heating with a wood stove would be a monumental inconvenience. Of course, unlike fossil fuels, wood is a renewable resource. For some, that’s reason enough to think seriously about making the switch from a traditional oil- or gas-fueled system. And it would be a mistake not to mention that there’s something deeply satisfying, on a primal level, about wood heat. It offers a connection to the land—and to human history—that simply cannot be matched by a system that’s controlled by a thermostat on the wall. 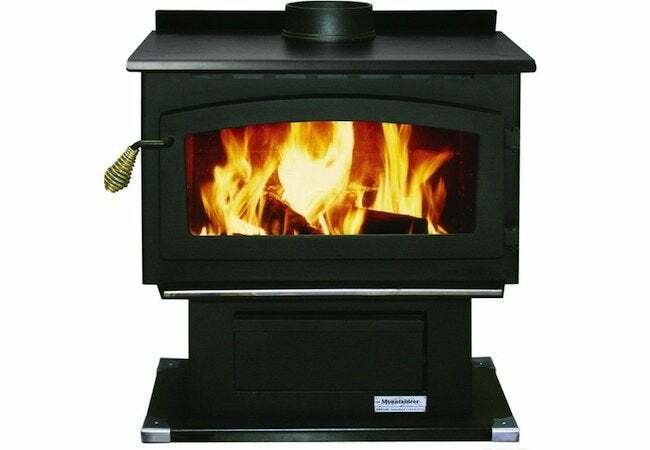 A wood stove-based heating system presents many challenges. One that continually frustrates many, even veteran wood-stove custodians, is the art and science of dispersing the heat that the stove produces. One method is to use a wood stove fan, which is placed on top of the stove. This sort of fan operates quite differently from the fans used to create a more comfortable environment in the dog days of summer. Rising heat causes the fan blades to turn, and as they do, the fan pushes that heat outward into the room. Another option is to buy a plug-in blower. Positioned beneath or next to the stove—but not too close—the blower runs on electricity and pushes heat away from the unit. In some homes heated by a wood stove, there are multiple fans running at once in different rooms, each strategically positioned to maximize heat flow. Sometimes these are ceiling fans; sometimes they are small fans mounted at the corners of doorways. 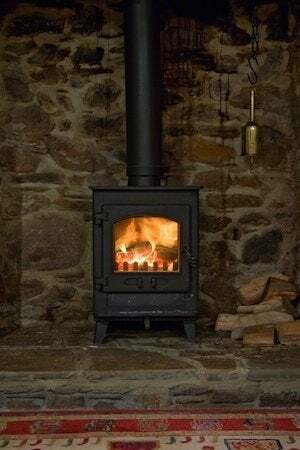 While a wood stove can be a viable sole heating solution for some homes in some parts of the country, it more commonly serves as a valuable companion to an existing gas- or oil-fueled system. But there’s a third option, one that gives the average homeowner a compelling reason to consider the wood stove. When most of us hear the word “fireplace,” we picture an open hearth in the living room or a stone chimney billowing smoke into the evening. These decorative fireplaces are prized not so much for their heat production as for their aesthetic value. The trouble is that they’re so inefficient; the same way an open window would, a decorative fireplace rapidly leaks heated air (air you’ve paid to heat) out of the house. A wood stove offers much the same benefit—something beautiful to gaze at—without seriously compromising your home’s overall energy efficiency. So if you’re looking to improve on your existing fireplace, or if you’ve always wished that your home had a fireplace, a wood stove may be your best bet. It all depends on what you want to get out of the wood stove—and what you’re willing to put into it.